After 33 years’ service with the Rifle Brigade, Edmund Teed went on the reserve list in 1901 with the Royal Sussex Regiment. At the outbreak of the war, he was recalled for active service, but died from natural causes three months later. Edmund Teed was born on 4 April 1852 at Peter Tavy, near Tavistock in Devon, the fifth of eight children born to John Teed (c.1821–1915) and his first wife, Elizabeth née Hall (1818–1879). John Teed was born near Sidbury in south-east Devon, but by 1842 was working as a bootmaker near Tavistock where he married Elizabeth Hall, the daughter of a farm carter. Their first daughter, Sarah was born about two years after the marriage and by the time of the 1851 census, John (now a cordwainer employing two apprentices) and Elizabeth were living at Peter Tavy with four children, two daughters and two sons. Edmund was born the following year, but sadly his sister Mary died, aged nine, in 1854. Shortly after this, the family moved to St Marychurch, near Torquay, where three more children were born, the last when Elizabeth was 42 years old. At the 1871 census, the family were living at Fore Street, St Marychurch where John was still in business as a cordwainer, although by now Edmund had left home to join the army. Elizabeth died, aged 61, in 1879 and the following year John remarried to her niece, Hannah, with whom he had one further child, Olive, born in 1885. Hannah died in 1912, followed by John, aged 94, in August 1915. In the spring of 1877, Edmund married Charlotte Elliott (1853–1947) in Newton Abbott. Charlotte had been born in Faversham, Kent, where her father, Edward, was a coastguard. By 1861, her family were living at the coastguard cottages at Hope Cove, South Huish, near Kingsbridge in Devon. Edmund and Charlotte had three daughters: Minnie (born in Newton Abbott, Devon in October 1878), Lottie (born in Aldershot, Hampshire in 1883) and Nellie (born in Hornsey, North London in 1890). In about 1904, the family moved to Hastings to live at 122 Ashburnham Road. Edmund soon became involved in the local community, becoming captain of the local rifle club and winning the Challenge Cup. He was also a member of the Ore Rifle and Bowls clubs. A staunch Conservative, he was a member of the Central Club. Edmund was initiated into Lodge Al Moghreb Al Aksa No 670SC, probably in 1886, during his second posting in Gibraltar. Lodge Al Moghreb Al Aksa had been founded in 1881/82 under the auspices of The Grand Lodge of Manitoba, Canada. After a dispute with the Grand Lodges in the United Kingdom, the lodge was transferred into the jurisdiction of the Grand Lodge of Scotland. On 9 November 1886, Edmund joined William of Wykeham Lodge No 1883 in Winchester, but resigned in December 1889. He then seems to have been unattached for several years, before becoming a joining member of Hastings Lodge No 2692 on 26 January 1904. At the time of his death, he was Senior Warden of the lodge. He had advised the lodge that his military duties would prevent him taking the Master’s chair the following year, but that he was “looking forward to that honour at some future date with keen pleasure”. Edmund enlisted on 9 June 1868, aged 16, joining The Rifle Brigade (The Prince Consort’s Own). On his attestation papers, he gave his date of birth incorrectly as 4 April 1851, thus making him appear a year older. At the time of the 1871 census, he was a Corporal based at Dover Castle, Kent. 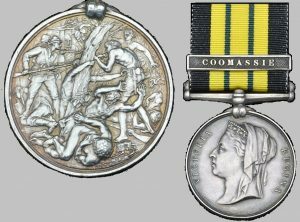 Having been a member of the battalion that had crossed the River Prah by 4 February 1874, Edmund was awarded the Ashantee Medal with Coomassie clasp. As Pioneer Sergeant, Edmund was expected to march at the head of the regiment, wearing a “stout” apron and carrying an axe, ostensibly to clear a path for all who followed. The Pioneer Sergeant is the only rank of soldier in the British army who is allowed to wear a full beard. Edmund returned with the battalion to England in March 1874, before his first posting to Gibraltar on 12 November 1874. He remained in Gibraltar until 12 December 1876 and then returned to Winchester. His second posting to Gibraltar came on 10 February 1886, but he again returned to Winchester on 9 June 1887. On 18 December 1889, Edmund (by now Sergeant-Major) was appointed Quartermaster of the Rifle Brigade with the honorary rank of Lieutenant. After ten years’ service as quartermaster, he was promoted to the honorary rank of Captain in the Rifle Brigade. The Quartermaster is the officer in a battalion or regiment responsible for supply. By longstanding tradition, he is always commissioned from the ranks and today holds the honorary rank of Captain or Major. In 1899, Edmund wished to go to South Africa to take part in the Boer War, but this was declined and he was sent to a depot at Warrington. Edmund retired as a regular soldier with The Rifle Brigade 0n 2 November 1901, following which (retaining the rank of Quartermaster and Honorary Captain) he joined the 1st Cinque Ports Volunteer Rifle Corps, which became part of the 5th Battalion (Cinque Ports) of the Royal Sussex Regiment on 1 April 1908. 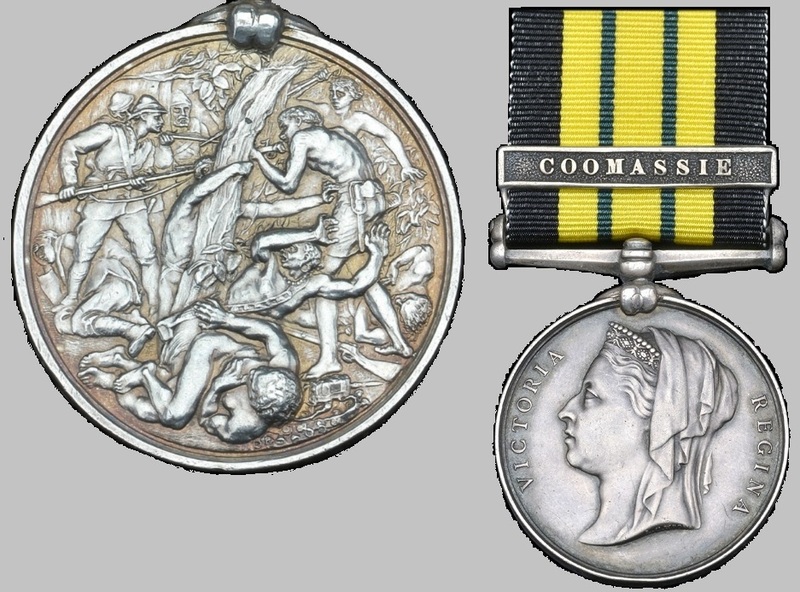 In 1911, Edmund was one of four members of the 5th Battalion selected to receive the medal struck to commemorate the coronation of King George V.
The 5th Battalion was a reserve battalion comprised of volunteers who were held in readiness to reinforce the regular army in the event of war. 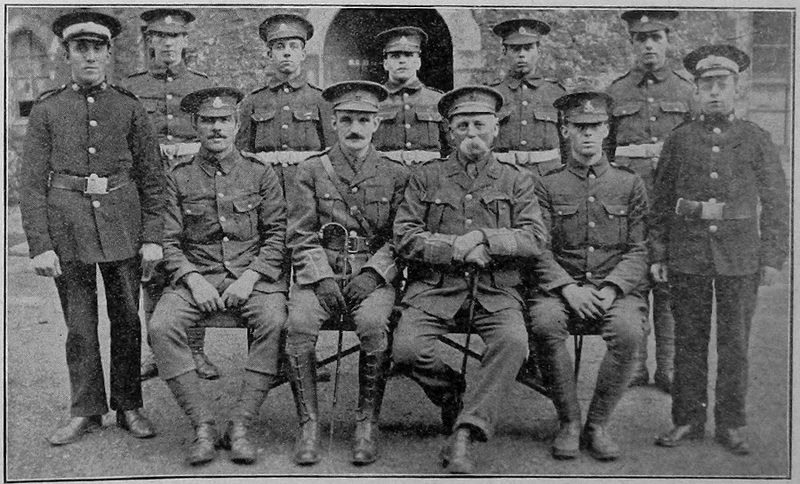 When war was declared in August 1914, the battalion was mustered at Hastings, to be trained to take their place in the front line. In November 1914, Edmund was on duty with the Royal Sussex Regiment at the Tower of London when he was taken ill and admitted to hospital. He died at his home in Hastings on 25 November. The death certificate gives the cause of death as prostatic hypertrophy (enlarged prostate) and acute rising nephritis (inflammation of the kidneys). 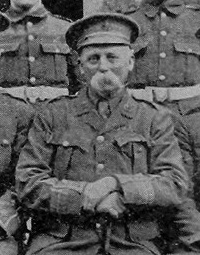 Major Teed has been Quartermaster of the Battalion since 2nd November 1901, and during the whole of that time he devoted himself unsparingly to the interest of the Regiment. Up to the last, his devotion to his duties upon active service was undoubtedly the cause of his fatal illness. Major Teed may honestly be said to have spent his entire life in the service of his country. …he has worn His Majesty’s uniform with credit to himself, and in doing so has earned the respect of all those who have served with him. All ranks will regret that Major Teed’s dearest wish could not be fulfilled, which was to go to the Front with the Imperial Service Battalion. Edmund was honoured with a full military funeral on Monday 30 November and was interred at Hastings Borough Cemetery. His grave has since been lost and he is commemorated in Hastings Cemetery on Screen Wall. K. C. D1. Charlotte never re-married and continued to live at Ashburnham road until her death on 19 May 1947. Minnie died in Worthing in June 1957, aged 78; it is not clear if she ever married, but by 1924, she had the surname Nield. At the time of her mother’s death in 1947, she was referred to as a spinster, but on her own death, she was described as a widow. Lottie never married and died in Worthing in 1964, aged 81. The youngest daughter, Nellie, is believed to have married Charles E.D. Lucas in Hereford in 1925, but nothing has been traced about her later life.